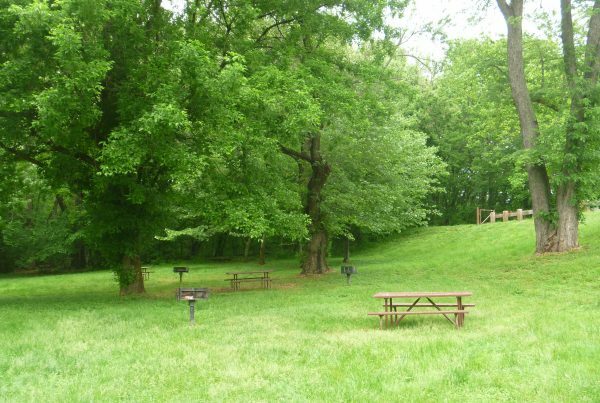 Located approximately eight miles apart on the C&O Canal towpath, Brunswick and Point of Rocks share a history with the C&O Canal and the B&O Railroad. 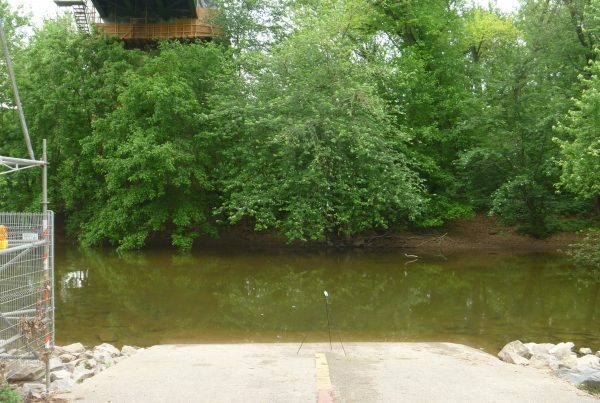 Both towns were small communities of several hundred people when the C&O Canal reached the area. When the railroad came through in the late 1800s they were transformed into boomtowns almost overnight. Both towns have followed the ups and downs of the railroad transportation industry ever since. At one time, Brunswick was our nation’s largest railroad yard. It went through many name changes over the years leading up to the arrival of the railroad. 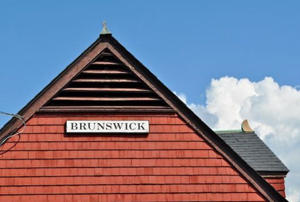 The lasting name of Brunswick was chosen because so many of the construction workers on the railroad hailed from Brunswick, Germany. 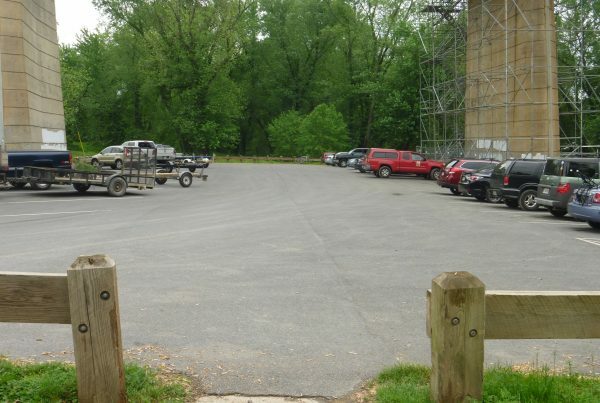 Point of Rocks got its name from the striking rock formation on the nearby Catoctin Mountains. 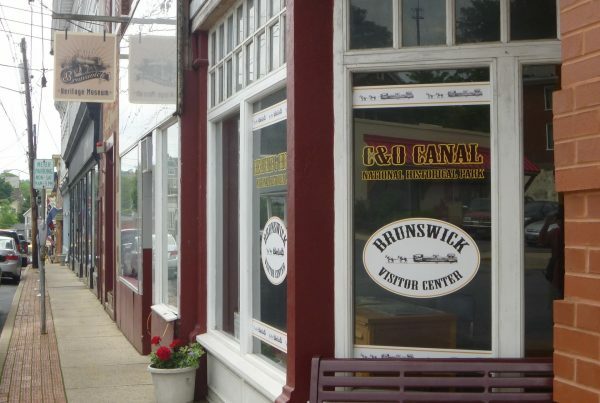 Today, both communities are on the MARC commuter train line to Washington, D.C. Brunswick is filled with downtown restaurants, specialty shops, and antique stores. 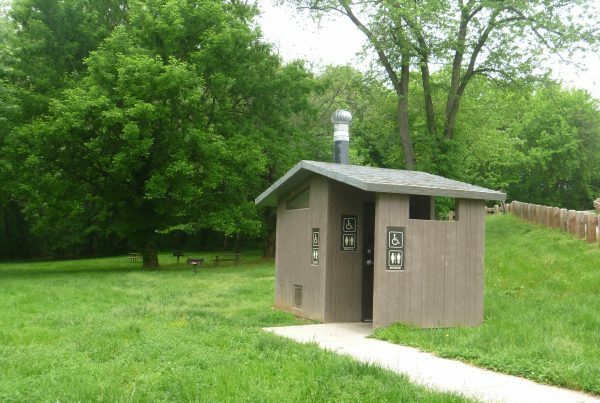 Point of Rocks is a great place to explore the C&O Canal with two aqueducts, two lockhouses, and two railroad tunnels nearby.